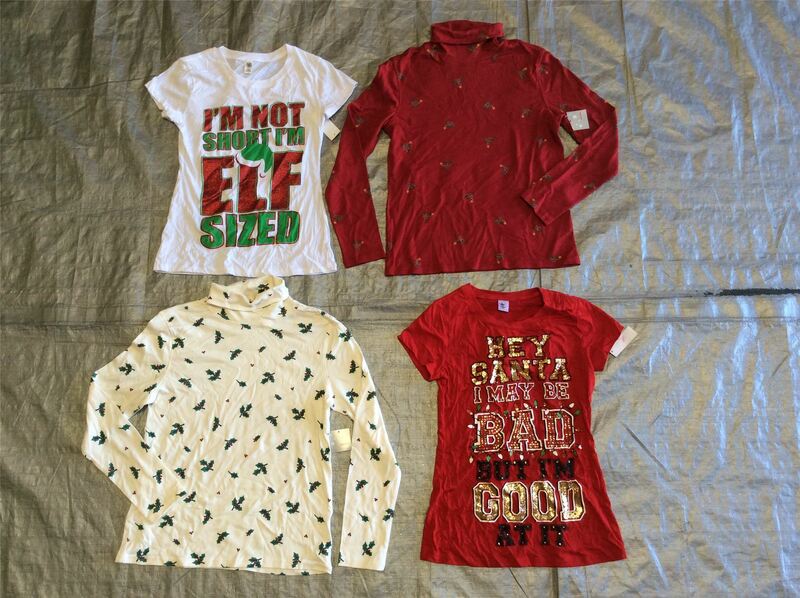 You are purchasing a wholesale lot of assorted Womens Holiday Shirts. They are Mixed sizes, designs, and also a mixture of short sleeve and longsleeves. The lot contains 13 single shirts. These are brand new, mostly all items still have thier original tags. Click the button below to add the Wholesale Lot of Assorted Brand New Womens Holiday Shirts, Mixed Sizes, Lot of 13 to your wish list.